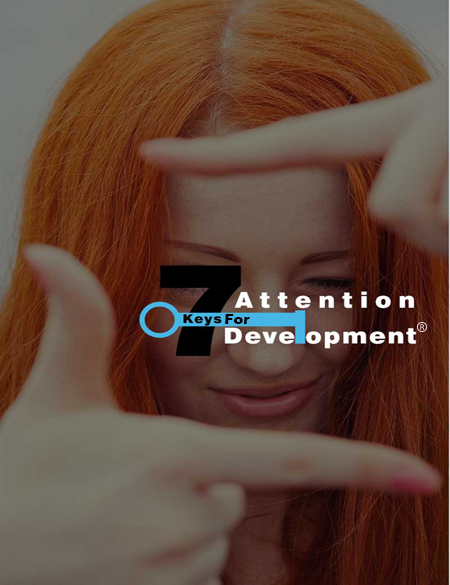 The 7 Keys for Attention Development Assessment is designed to help you determine what your current level of attention ability, disorder or deficit is. Each aspect of the 7 Keys Assessment has five questions (35 total) for you to quickly answer and get a concise evaluation as to where you are and what improvements you can expect by doing this program. Would you like to review your test results with one of our staff to find the best way to help you overcome your difficulties and improve your emotional wellness and focus? Copyright 2018 © 7 Keys For Attention Development. All Rights Reserved.